The fish store where I work, The Hidden Reef in Levittown, PA had a breeding trio of Gobiesox sp. 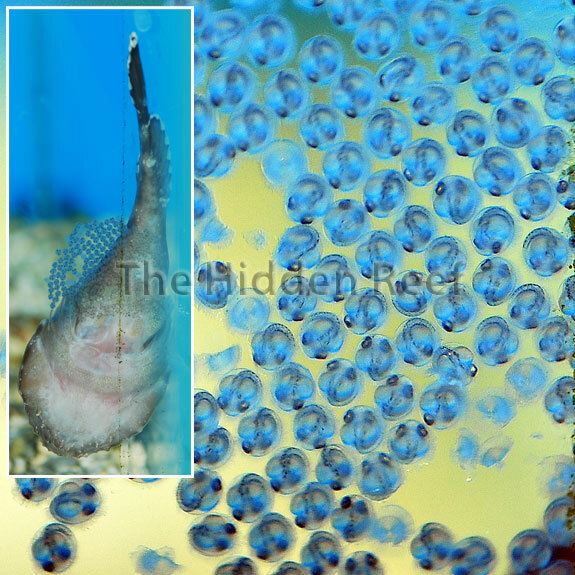 Clingfish that laid eggs. The male stood guard over the cluster of eggs, fanning them and keeping them clean and safe. About a week later, a second mass of eggs right next to the first mass appeared. The male busily guarded both masses of eggs. 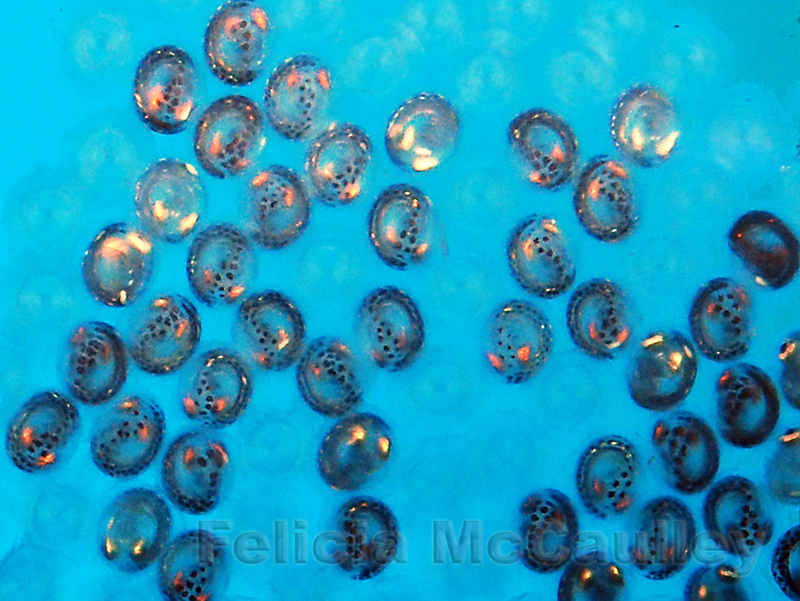 The first egg mass hatched after 11 days, but the hang on the back filter was still running and they were destroyed by the filter. I decided to try raising the second batch of fry since I have a rotifer culture. To prepare for the second hatching, I turned off the filter and put a small airstone in the tank. On Friday about fifty of the eggs hatched, and Saturday about fifty more, but some of the eggs still contained the fry. I am betting the rest of them hatched yesterday; I’ll find out today when I get to work. 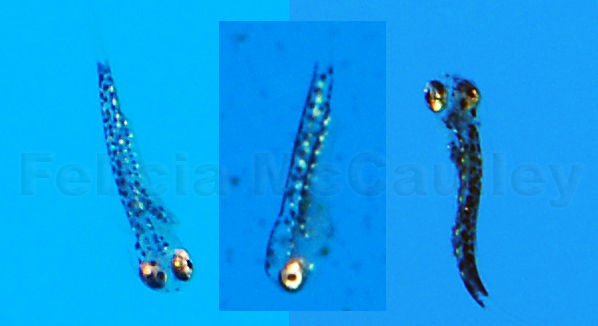 The newly hatched clingfish larvae are large compared to clownfish larvae. 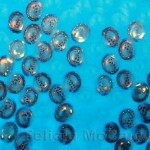 They are closer to the size of newborn seahorses, so hopefully they’ll be easy to raise. 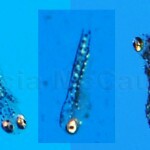 They are definitely pelagic and attracted to light. When they’re not swimming toward the light, they may dart at the aquarium wall to bite at microscopic objects on the glass. Hopefully I can raise a few of these Clingfish to adulthood. I’m using my trusty Reef Crystals bucket with an air sponge, then when they’ve been big enough to eat baby brine shrimp for a few weeks I plan to transfer them to a 10 gallon tank with an aquarium divider glued in and a hang on the back filter on one side. If anyone has raised this species before, please leave a comment with any tips!